Day 121: Presenting at SXSWedu! Update: Thanks to Teach.com for featuring me as "SXSWedu Teacher of the Day"
Today I got to lead a session (along with my friend Stephanie Cerda) at SXSWedu, in which we unconferenced the conference. This means we determined the agenda at the start of the event, using ideas from our participants to build the session ideas. 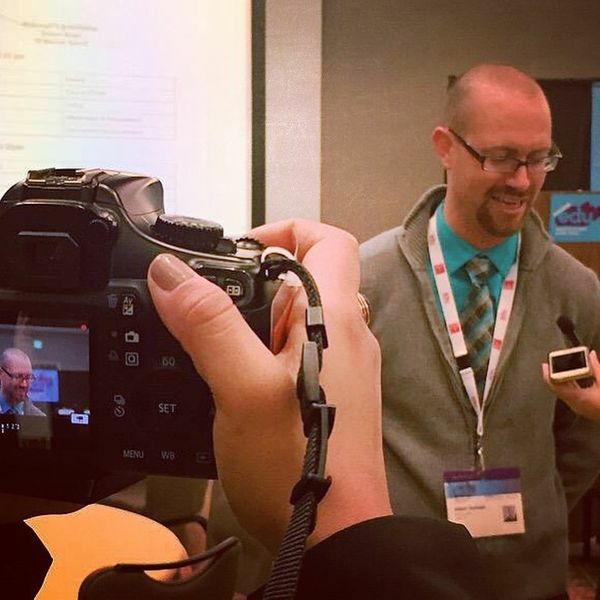 We had a great turnout for the 1st ever unconference at SXSWedu, and here I am getting interviewed by educators from the University of Southern California at the end of the event. Thanks to SXSWedu for allowing this innovative form of professional development to occur alongside the main conference.